Nearly every baby born in Australia since 1970 has had a few drops of blood taken and stored on a so-called Guthrie card, and this practise is widely adopted in the developed world. As DNA analysis technologies become ever more sensitive and economical, these cards will become ever more important in diagnosis of genetic disease and also in identifying genetic and epigenetic variations which contribute to complex disease. The paper I showcase today from Beyan et al, describes the development of genome-wide assays for DNA methylation using methylation microarrays and methylcytosine immunoprecipitation followed by Illumina sequencing (MeDIP-Seq). 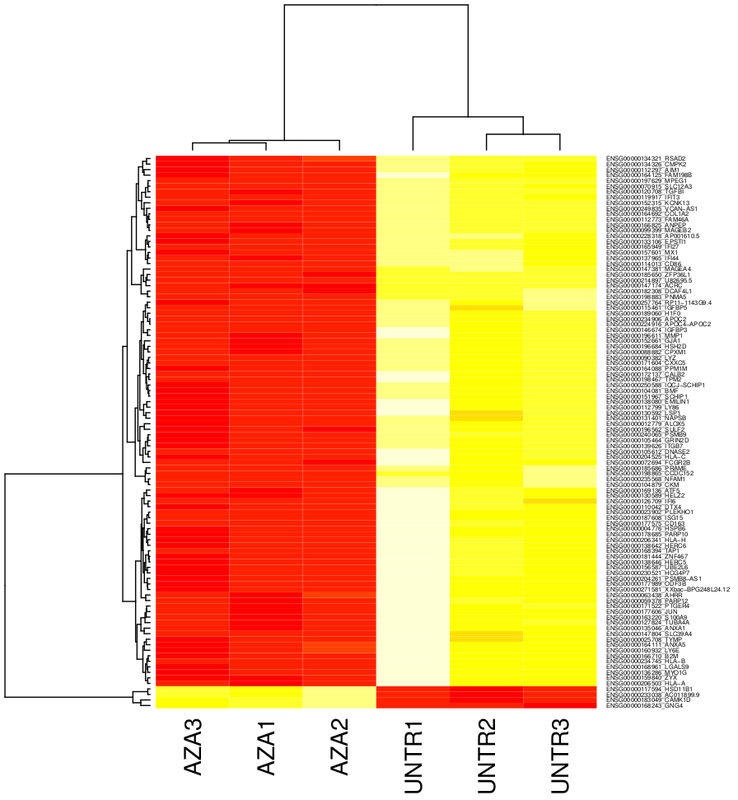 Authors find differential methylation regions which are stable from birth to 3 years of age. The methodology is fairly novel, but the conclusions are a bit vague and it would have been best to apply Guthrie card analysis for a specific disease. It would be really neat if they analysed material from discordant twins for a complex disease i.e; juvenile diabetes. As the cost of sequencing decreases, and analysis pipelines become more streamlined, methods like arrays and MeDIP-Seq will become less attractive and will be overtaken by whole genome (oxo) bisulfite sequencing for identification of methylcytosine and hydroxymethylcytosine sites. Genome Res. 2012 Nov;22(11):2138-45. doi: 10.1101/gr.134304.111. Epub 2012 Aug 23. Guthrie card methylomics identifies temporally stable epialleles that are present at birth in humans. Beyan H, Down TA, Ramagopalan SV, Uvebrant K, Nilsson A, Holland ML, Gemma C, Giovannoni G, Boehm BO, Ebers GC, Lernmark A, Cilio CM, Leslie RD,Rakyan VK. A major concern in common disease epigenomics is distinguishing causal from consequential epigenetic variation. One means of addressing this issue is to identify the temporal origins of epigenetic variants via longitudinal analyses. However, prospective birth-cohort studies are expensive and time consuming. Here, we report DNA methylomics of archived Guthrie cards for the retrospective longitudinal analyses of in-utero-derived DNA methylation variation. We first validate two methodologies for generating comprehensive DNA methylomes from Guthrie cards. Then, using an integrated epigenomic/genomic analysis of Guthrie cards and follow-up samplings, we identify interindividual DNA methylation variation that is present both at birth and 3 yr later. These findings suggest that disease-relevant epigenetic variation could be detected at birth, i.e., before overt clinical disease. Guthrie card methylomics offers a potentially powerful and cost-effective strategy for studying the dynamics of interindividual epigenomic variation in a range of common human diseases. What? You're not using parallel compression yet?